Live-test server offers a full functionality of a RavenDB server and is available at live-test.ravendb.net. We encourage you to check it out and test various functionalities. all databases available at live-test.ravendb.net server are publicly available and can be accessed, managed and copied by any user. 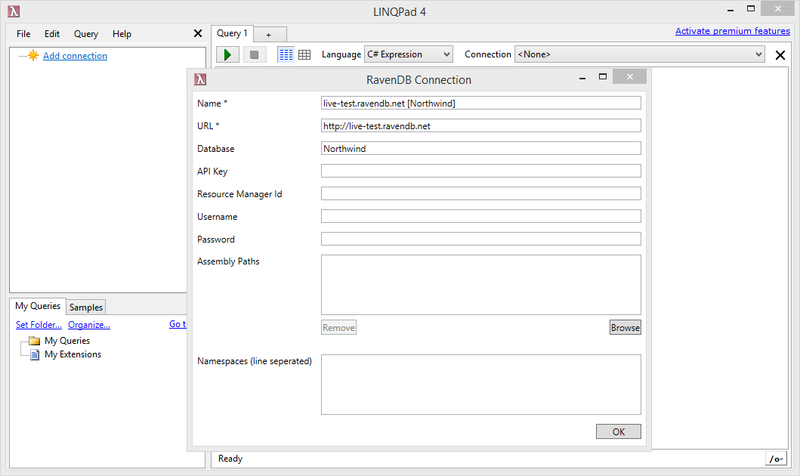 Driver for LINQPad that supports RavenDB connectivity was created by Ronnie Overby. 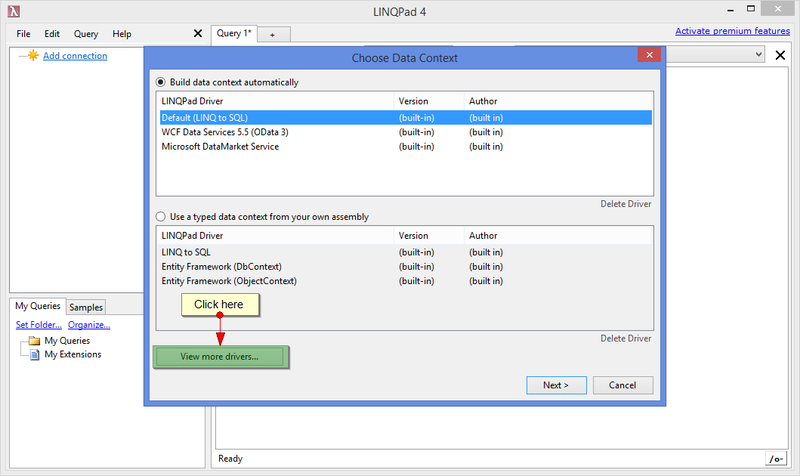 It can be downloaded from project GitHub page (compiling the solution will overwrite the installed driver) or installed directly through LINQPad. Step 1. 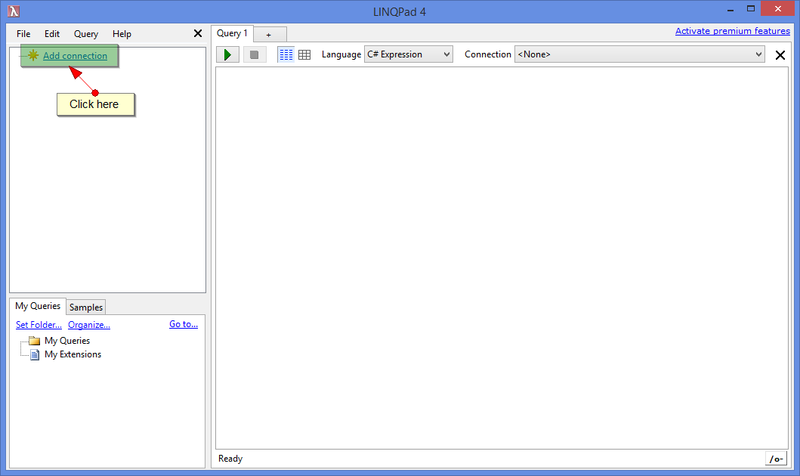 Click on Add Connection in LINQPad. Step 3. 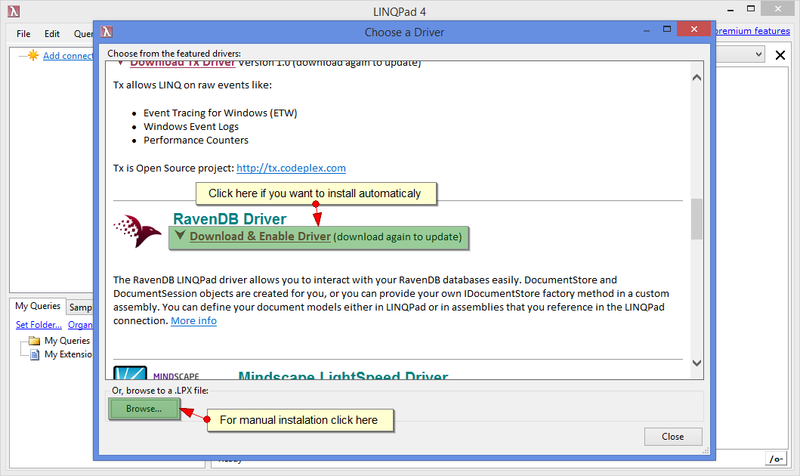 In Choose a Driver view find a RavenDB driver on a list of drivers and install it or if you are interested in manual installation, click on Browse at the bottom of the page and specify .lpx file with the driver. Step 1. 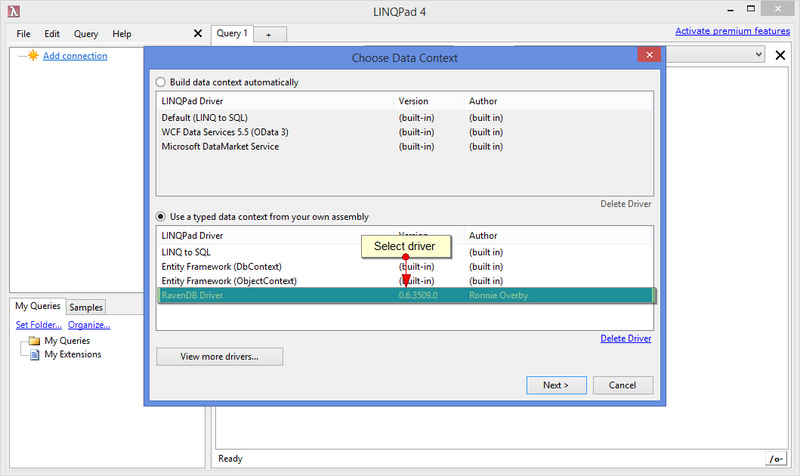 Select RavenDB Driver from Choose Data Context view. Please visting project GitHub page for more information on how to query or watch this video created by author of the driver that will guide you through available functionalities.